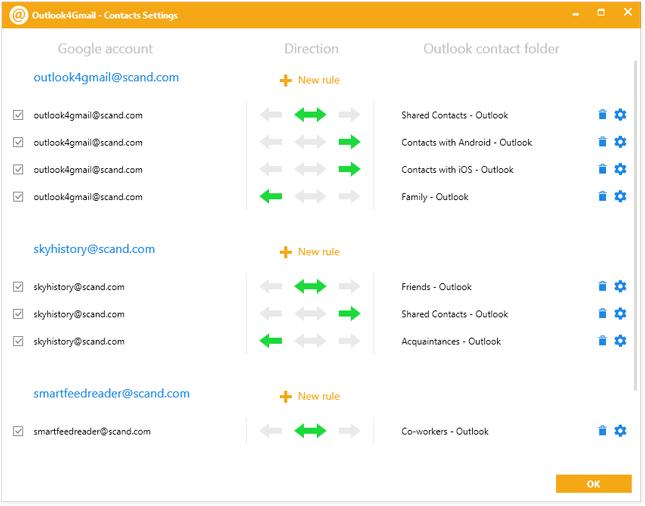 Outlook4Gmail syncs your contacts at the best possible level: name, company, phone number, Email, address, date, note, contact picture, category and Google group, etc. 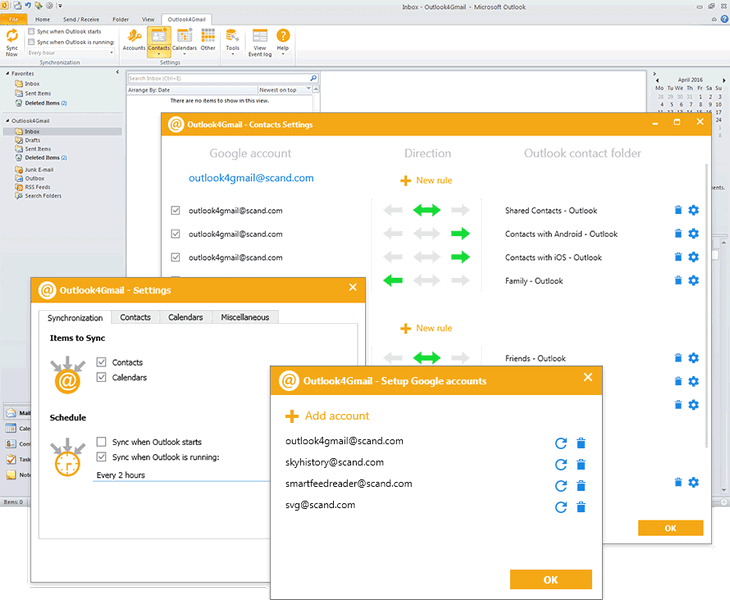 Moreover, Outlook4Gmail provides duplicates elimination function, language settings, automatic backup before the synchronization process. 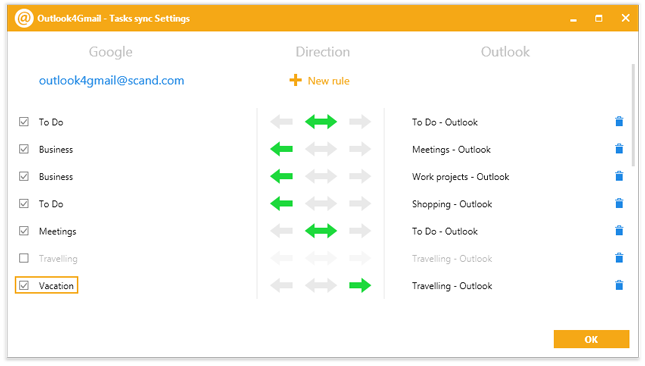 The FULL featured version of Outlook4Gmail allows importing Outlook appointments into a Google calendar and vice versa: Google events into an Outlook calendar. 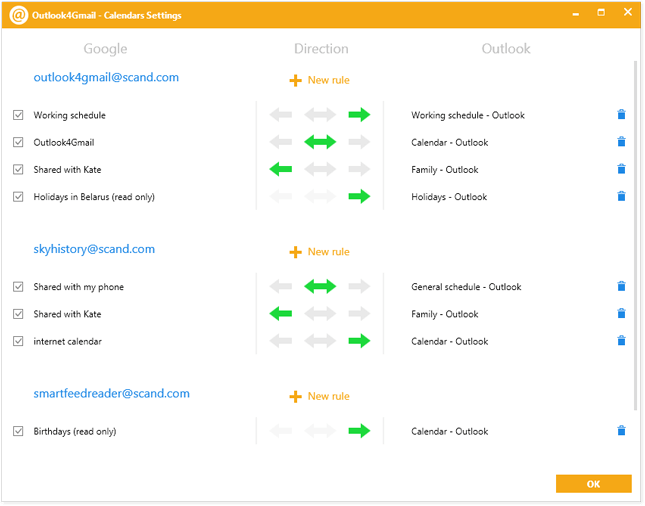 It also syncs Google calendars from multiple Google accounts with Outlook ones. 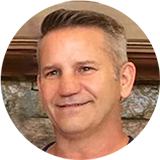 The settings provide opportunities of duplicates check, their elimination and automatic data backup.